At Altius, we pay the same attention to the ingredients in your libations as we do with your food. 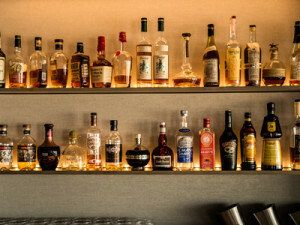 The use of only premium spirits is the foundation of our cocktail program. We avoid using artificially flavored spirits, instead favoring natural sweeteners (such as local honey, agave nectar, and turbinado sugar) and fresh fruits, herbs, and spices as flavoring agents. Our mixers are the finest available including artisanal soda and tonic waters, house-made grenadine and fruit syrups, as well as freshly squeezed juices. For those whose lifestyle favors non-alcoholic beverages, we emphasize healthy and creative potables crafted from the same pure ingredients.